Advertising – a unique profession for an amateur sleuth! Tobi runs her own ad agency, but also works part time in a pet shop to make ends meet. When she finally lands a client and comes up with a perfect slogan, a murder threatens the reputation of both her new client and her agency. Determined to save face, Tobi starts poking around, figuring that if she can figure out who the killer is, she’ll throw attention away from herself and her client, Zander Closet Company. 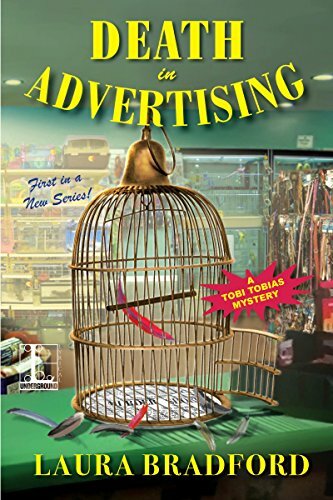 Death in Advertising has a fun, quirky set of characters (including a couple of African Gray parrots) and a story-line that kept me guessing. This is a great start to a new series from Laura Bradford. Enter the Rafflecopter giveaway (ENDED) for your chance to win one of 2 ecopies of Death in Advertising. While spending a rainy afternoon at a friend’s house more than thirty years ago, Laura Bradford (a.k.a. Elizabeth Lynn Casey) fell in love with writing over a stack of blank paper, a box of crayons, and a freshly sharpened number two pencil. From that moment forward, she never wanted to do anything else. Today, Laura is the national bestselling author of several mystery series, including the Emergency Dessert Squad Mysteries, the Amish Mysteries, the Jenkins & Burns Mysteries, and the upcoming Tobi Tobias Mystery Series. She is a former Agatha Award nominee, and the recipient of an RT Reviewer’s Choice Award in romance. 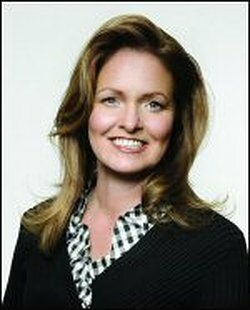 A graduate of Xavier University in Cincinnati, Ohio, Laura enjoys making memories with her family, baking, and being an advocate for those living with Multiple Sclerosis. For more information and all the latest book news, visit her website at www.laurabradford.com. I was provided a free copy in exchange for an honest review. All thoughts and opinions expressed are my own. Good review. Have to check out further. Great review. I’ve added it to my TBR lit.